> Then I went to the official website of Gimp and installed Gimp by using flatpak. After installation, I surprisingly found that the problem had been solved. As I mentioned in the last mail, the fonts tofu problem about Gimp was solved by reinstalling through flatpak. 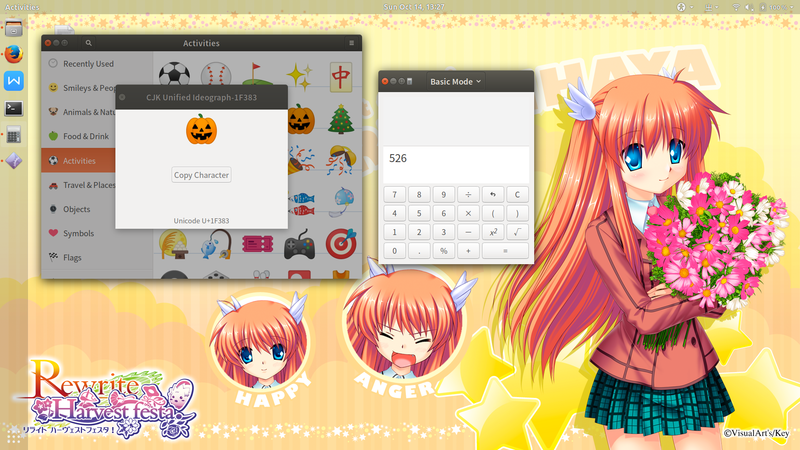 However, the same fonts tofu problem occurred in some of other pieces of software such as Calculator and Characters. Then I have got to try reinstalling the fonts. I reinstalled Dejavu but nothing changes. I even copied the whole original /usr/share/fonts/ directory form a Ubuntu LiveCD and paste it to my computer. Now all the fonts deleted by me had come back. However, nothing changes, either. I'm so upset but I manage to solve this problem finally so I would like to share the solutions with those who will have the same problems in the future. 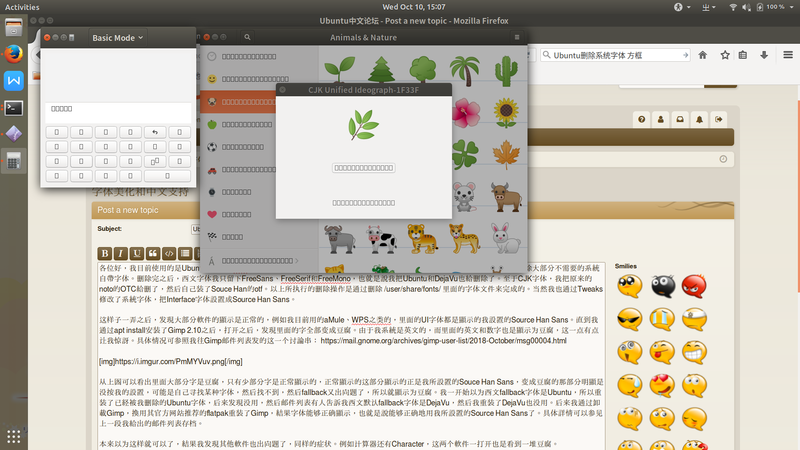 I posted my problem to the Ubuntu Chinese Forum. At first, I got the suggestions to reinstall the fonts via `sudo apt install ttf-dejavu-core` but still nothing changes. Then there was a user suggesting me to check the permission of the fonts files. To be honest, as a Ubuntu/Linux newbie, I'm still reading the book named "The Linux Command Line" (written by William Shotts) and haven't read the chapter about permission yet. But his suggestion makes sense so I checked the permission and got these output. Then I found the permission of SourceHanSerif-Bold.otf, which is manually installed by me, is different from the others. Meanwhile SourceHanSerif-Bold.otf is the default fonts for the interface. So I tried copy it and paste it to /usr/share/fonts/ from ~/.local/share/fonts/ . Then I surprisingly found the problem had been solved. Therefore it the PERMISSION that causes this problem. Sorry for my poor grammar, I hope that this solution will help those who have the same problem as me.